The Brazilian dancer has decided to make the current Season his last as a Principal with the Company. After 16 years with The Royal Ballet, Thiago Soares has decided to make this Season his last as a Principal dancer with The Royal Ballet in order to focus on new projects in dance and the performing arts. He will return as a guest Principal in the 2019/20 Season. His documentary film Primeiro Bailarino (Principal Dancer) will be screened in the Linbury Theatre on 21 January, giving a unique insight into his dance journey in London and Brazil. He will also feature in a new work by Goyo Montero in the Linbury Theatre as part of New Work New Music. Thiago will also dance in his first solo venture Duelo with Brazilian pianist Marcelo Bratke at the Tivoli Theatre, Lisbon in February and he will also perform in Mayerling on tour with the Company in the summer. Thiago Soares joined The Royal Ballet as a First Artist in 2002 and was promoted to Principal in 2006. He has performed leading roles across the Company’s broad repertory including Giselle, Swan Lake and The Sleeping Beauty among the classics, Frederick Ashton’s Thaîs Meditation, Sylvia and La Fille mal gardeé, John Cranko’s Onegin, Kenneth MacMillan’s Mayerling, Manon, Romeo and Juliet and Song of the Earth and George Balanchine’s Jewels. 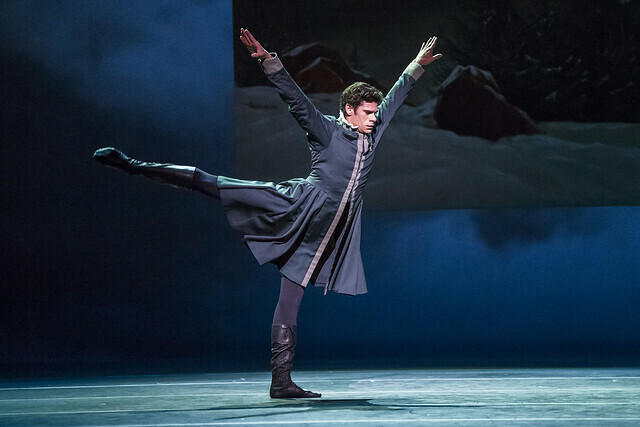 In more recent work Soares has featured in Christopher Wheeldon’s The Winter’s Tale and After the Rain, Liam Scarlett’s Sweet Violets, Wayne McGregor’s Raven Girl and Tetractys and Arthur Pita’s The Wind. Soares was born in Rio de Janeiro in 1981 and trained at the Centro de dança, Rio de Janeiro in Brazil, joining the Municipal Theatre Ballet in Brazil in 1988. In 2002 he trained with the Mariinsky Theatre in St Petersburg and that same year was invited by Monica Mason, then Director of The Royal Ballet, to join the Company. Soares has won a number of awards including silver at the 1998 Paris International Dance Competition, gold at the 2001 Moscow International Ballet Competition and Outstanding Male Artist (Classical) at the 2004 Critics’ Circle National Awards. In 2018 he was awarded the Order of Cultural Merit by the Brazilian government for services to art. What will be his farewell performance? His new projects look interesting and hope he does well. Details will be confirmed in due course - watch this space! Join the Company as they rehearse Kenneth MacMillan's Shakespeare-inspired ballet. 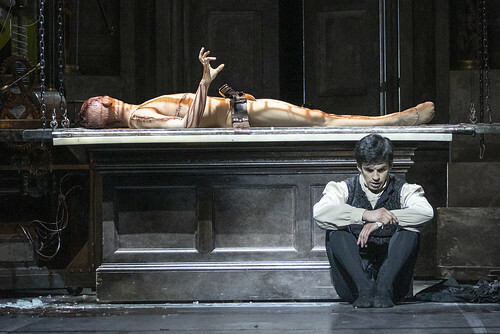 Your Reaction: What did you think of The Royal Ballet's Frankenstein 2019? Audience and press reviews of Liam Scarlett's adaptation of Mary Shelley's classic Gothic novel. Your Reaction: What did you think of The Royal Ballet's Don Quixote 2019? Audience and press reactions to Carlos Acosta's production of Marius Petipa's classic ballet.